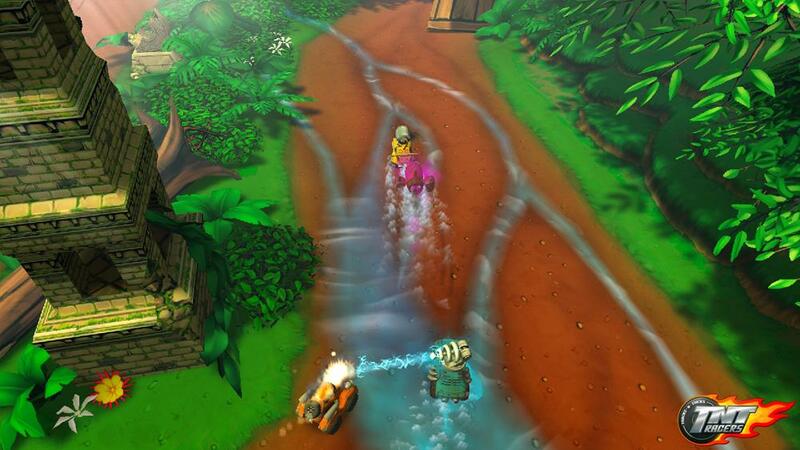 TNT Racers is taking it to the next level! Experience an even faster Speed Class: Formula TNT! 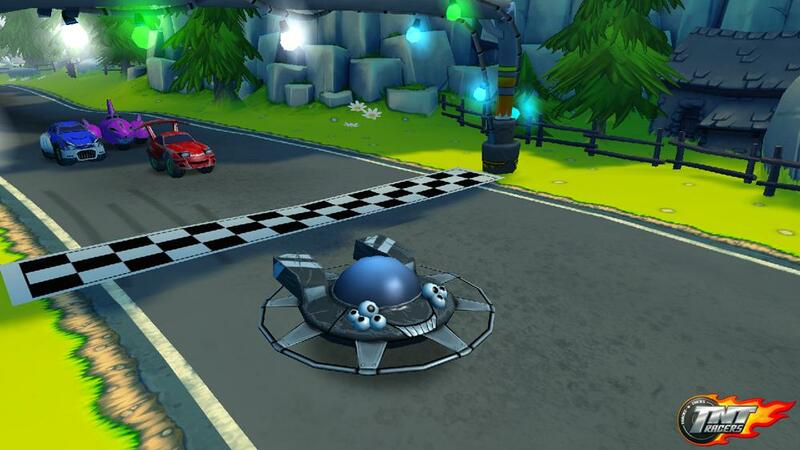 It comes with 2 new crazy fast cars and another 4 awesome circuits. Stacks of Formula TNT Challenges are waiting to be mastered. What are you waiting for? So get going: Hit the gas and have fun! 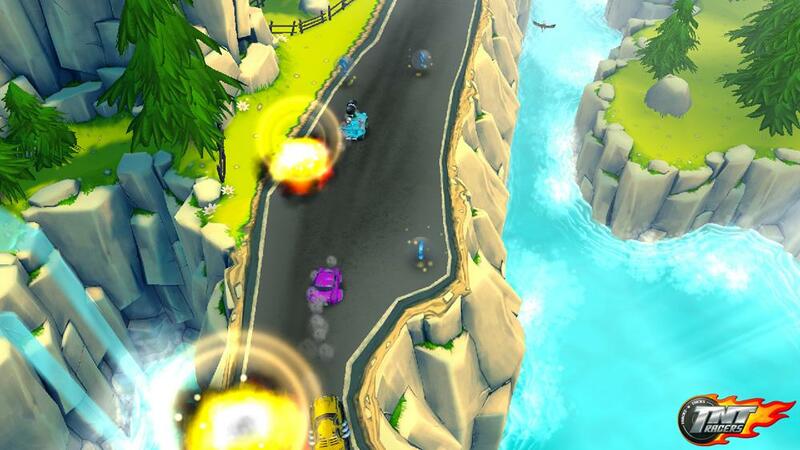 You’re looking for new challenges in TNT Racers? How about the exclusive Speed Class: Drift! 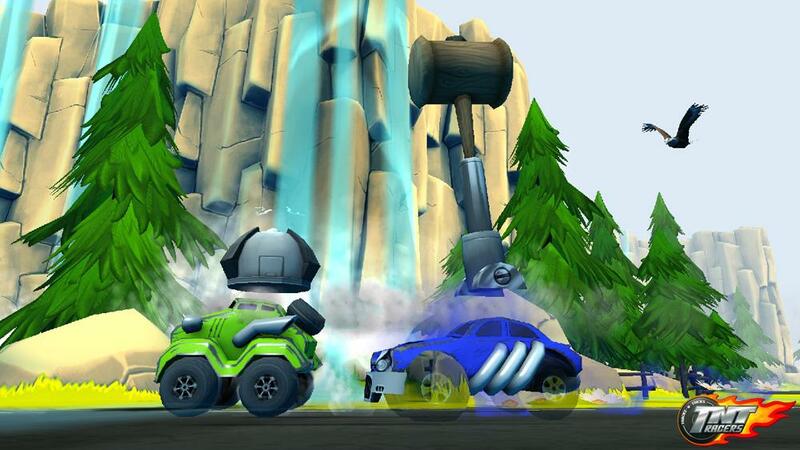 With 2 brand spanking new vehicles, 4 additional demanding tracks and Drift Challenges galore. 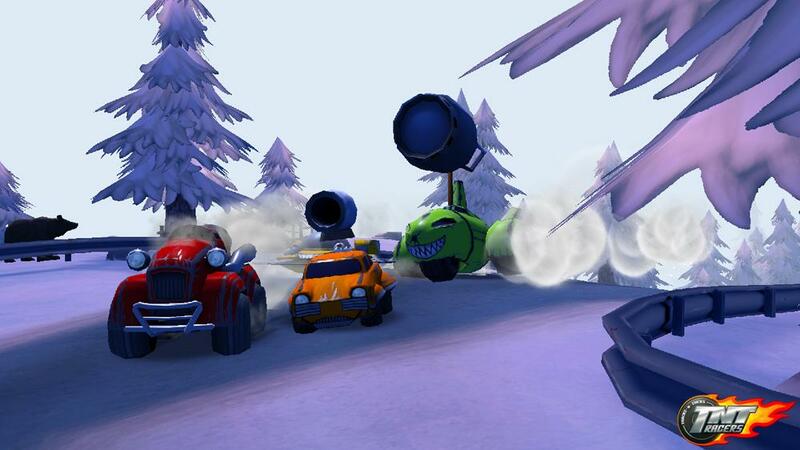 With TNT Racers, the thrills just keep on coming. 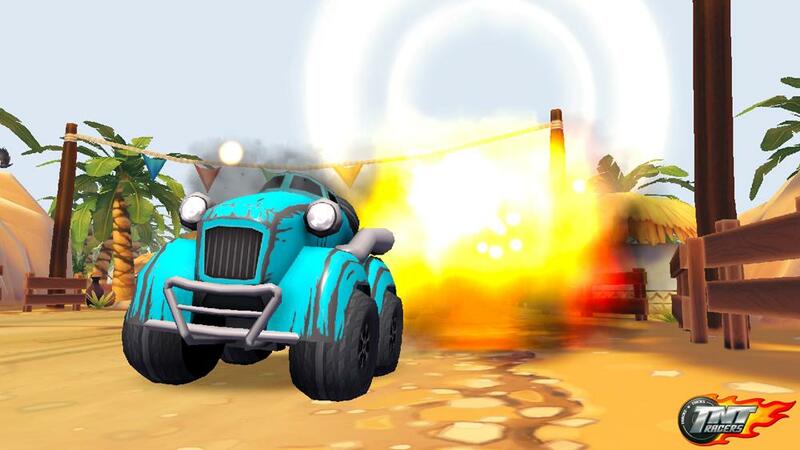 May the most explosive driver win. 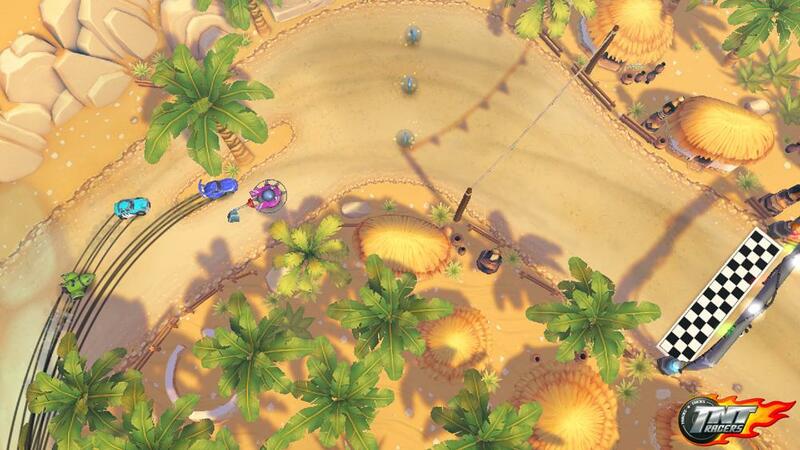 Have you got what it takes to outrun your rivals? 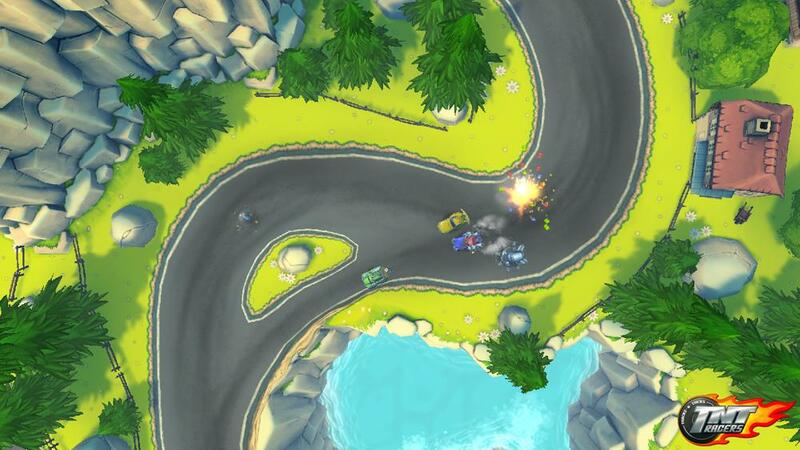 TNT Racers is a fun multiplayer racing game full of variety, combining fast as lightning race action with brand new features. 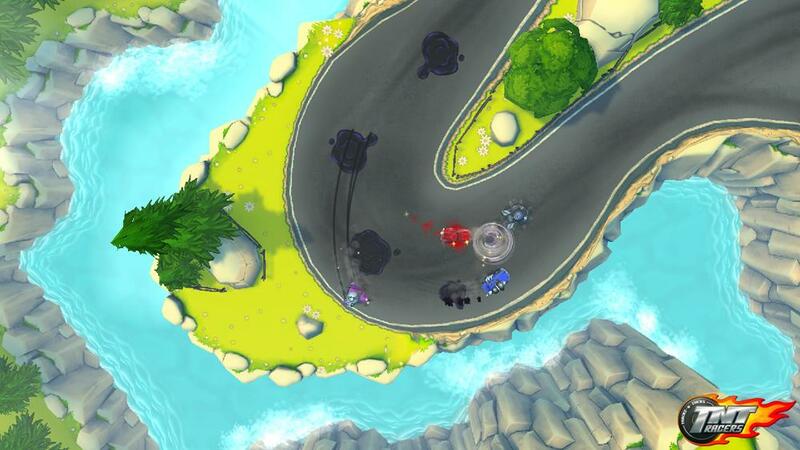 The Shadow Race feature lets every player stay in the race even if a driver is clearly in an inferior position. But the best things are the wicked pick-ups which will ultimately decide about victory or defeat. 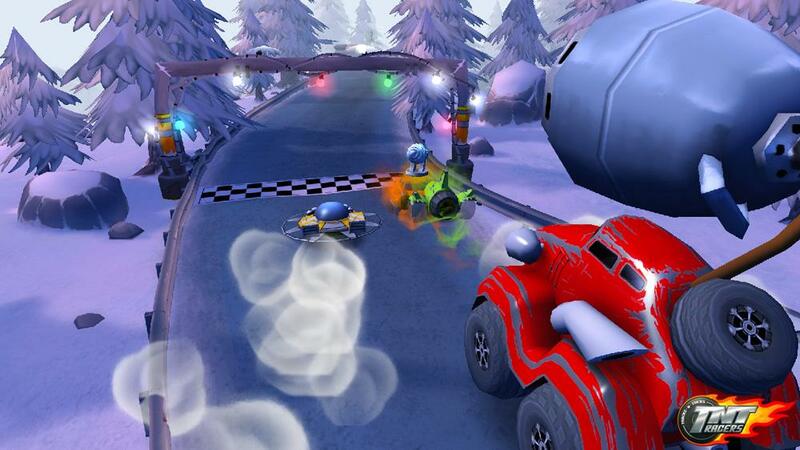 TNT – Tracks N Tricks – cool tracks and snappy gadgets! One powerful adrenaline kick is guaranteed. 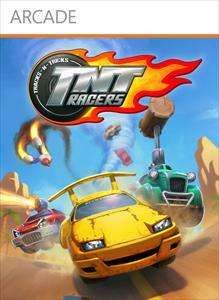 Grab yourself TNT Racers today and let your competitors eat the dust!